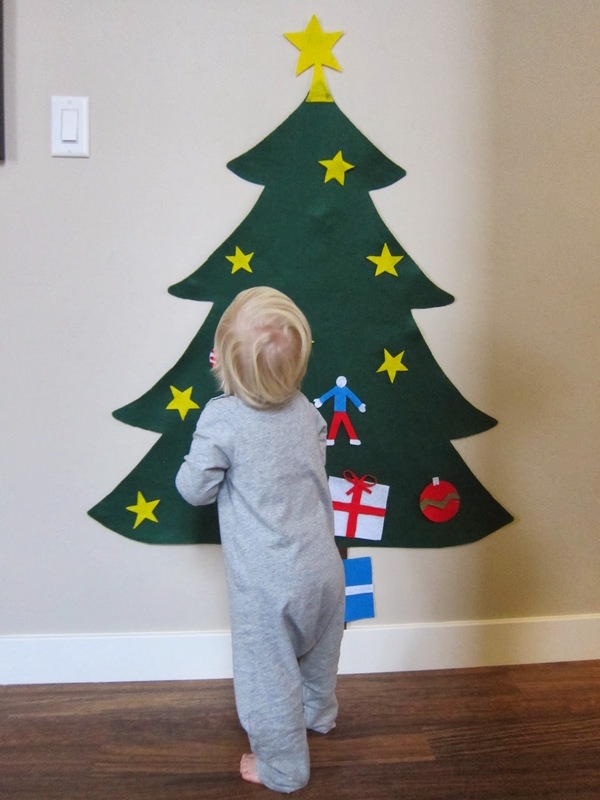 After seeing all of the adorable felt Christmas trees that were taking over Pinterest, I knew that Liam needed one! I looked at numerous sites trying to get different ideas & tips on how to go about this little project. It can be as simple or as elaborate as you want. I might add some ornaments next year, or even a little bit of garland, but it looks great as is! Liam absolutely loves it and is constantly reorganizing the ornaments; tearing them down is his favorite part! Grab a bottle of wine if you are making having your husband participate. 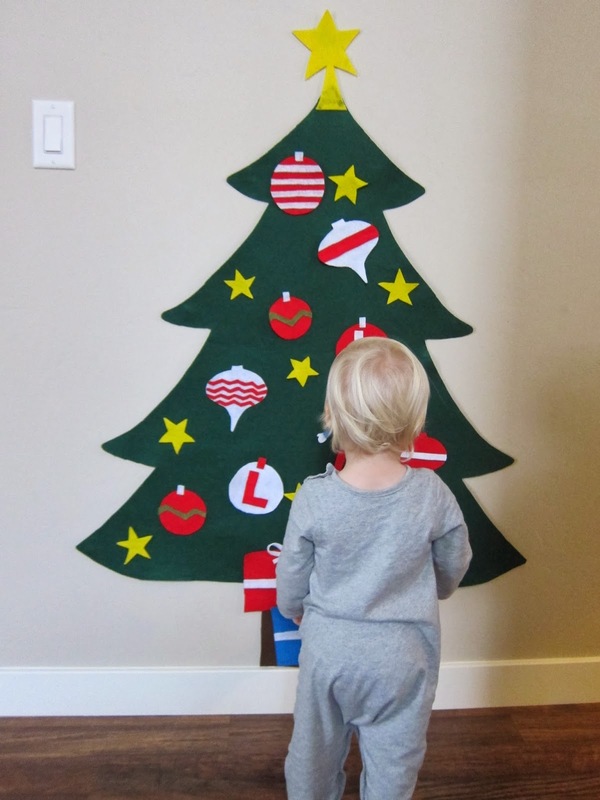 Use chalk to outline the tree shape you want on a large piece of felt folded in half. This way it will be symmetrical. (The chalk will rub off when you are finished). Felt sticks to felt, so that is how the ornaments stay on the tree. However, you may want to permanently affix some things (like the star on top or decorations on the ornaments), so use a hot glue gun for that. Be conservative with the hot glue; it can easily seep through the felt and look messy. 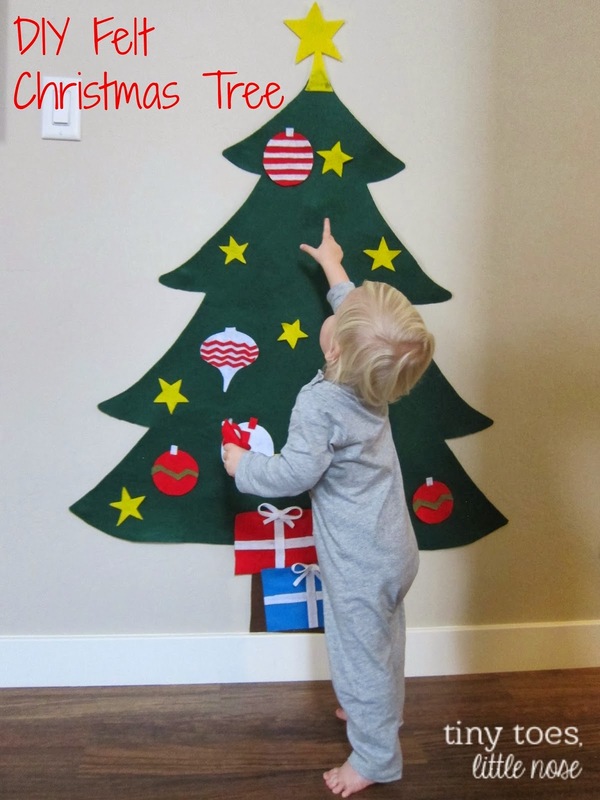 Use painters tape to hang up your tree without having to worry about it ruining your walls. 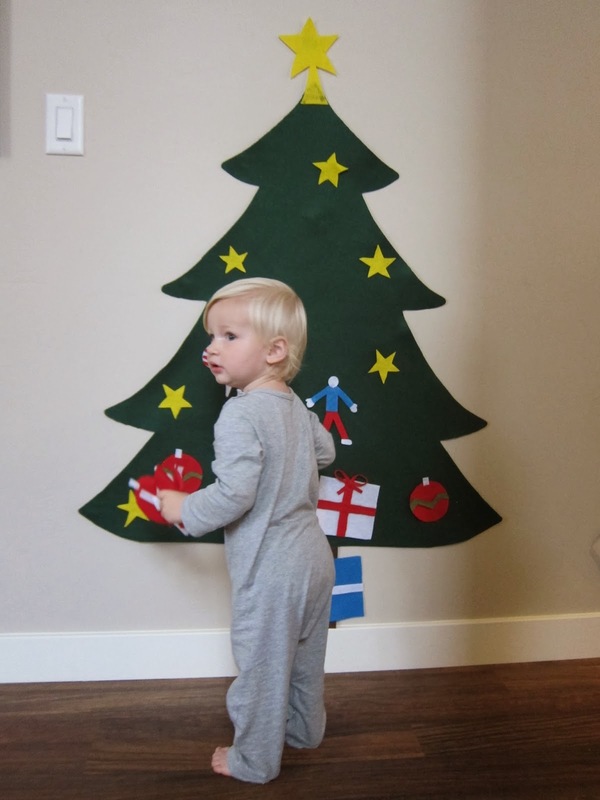 I'm fairly certain Liam is going to be devastated when his little tree disappears after the holidays. I'm going to have to come up with something else to keep his little hands busy...maybe a felt snowman! P.S. Today I'm flying up north for the holidays, so I will be somewhat missing from the little blog here for the next few weeks. While I want to share every single minute of our holiday fun, I'm going to be enjoying the moments instead of recording them! :-) You should all try and do the same while spending time with your family & friends this year! I've seen those trees everywhere and have to make one for Carter! Thanks for the tips. A snowman after the holidays would be perfect! Have a great trip and happy holidays! You should definitely make one; it was super easy and well worth the effort! Your tree looks great! Mine is way simpler than that. 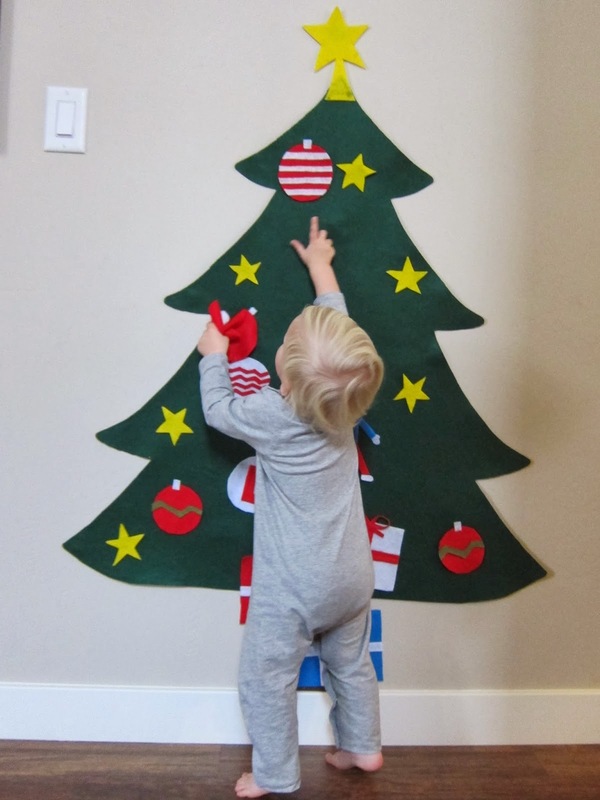 And I have to say I'm glad I didn't put too much time into mine... Noah keeps ripping the whole tree off the wall! He is still just as interested in our real tree, but luckily he is pretty gentle with both! Roughly how much did this cost you and how long did it take to make? I'm debating between making one or being lazy and spending $25 on one off Amazon. It was a couple years ago so I don't remember exactly. Probably took an hour, and I bet materials were around $10. Felt is typically cheap. Especially with coupons to Joann Fabric.